4 reasons to start your blog NOW in 2018! Welcome to the wonderful new year of 2018! Woo Hoo!! There is no better time to get started with blogging. 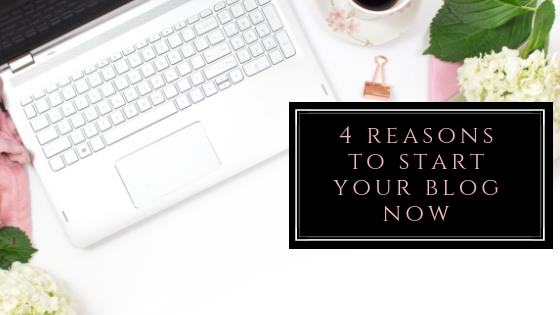 In today’s post I will give you 4 reasons to start your blog NOW in 2018. If you did consider making New Year’s resolutions, did you think at all about how to ditch your job and earn from home? Did you? Lots of people did. There are tons of ways to earn money from home. Some are inexpensive to start and do not take up much of your time. Others involve signing up for expensive programs, usually to get you to sell that same program to others so that you can earn your money back. And some are just plain scams! This post is about the former, and why getting started today can lead pave a way for you to kick your 9-to-6 job to the curb and secure a replacement income for yourself that will allow you to live your life on your terms while earning a decent income, and from anywhere in the world! -and most importantly, a niche (the topic of your website)! 1. Blogging is one of the least expensive ways to start a business. When you consider that you can write blog posts and then put affiliate links on your website and generate an income, for less money than you spend on pretty much anything else in your world, there is no better time to get started. It is realistic that, over a period of time that will depend on how often you publish posts on your website and how optimized your website it, that you can replace the income from your 9-to-5 job. Or more. Yes, it does take time to get to this point. But it takes time to start earning with a brick and mortar business as well. So start now! Just one caveat: You cannot monetize free websites (Wix, Tumblr, or the free WordPress sites). Free websites are free because the website company usually puts their own ads on your site. They also don’t allow affiliate ads, which is what you need to earn money from your website. If you start today, and can write two posts per month, you would have a good start to building your business. When you have more time, write more. Get your friends to go over and leave comments on your posts (which alerts Google to the activity on your website and this helps to rank you higher). Ideally, you will scale up your writing to many more than two posts per month, like two (or more!) posts per week. The more posts that you have on your website, the more authority your website has with Google. Just don’t sacrifice quality for quantity. If you already understand your niche, you can easily write a blog post in an hour and a half. Two blog posts a week is only 3 hours of your time. To build a business. and has plenty of helpful tools and programs to help you do better in ranking. Google Search Console and Google Analytics are free and helpful programs that show you who visits your site, how old they are, where they live, and sometimes even their hobbies (based on searches), to help you improve your posts and make your site as user friendly as possible. Google has its own “affiliate” program called Google AdWords, which allows you to put ads of different sizes, shapes, and even colors on your website. These banner ads let you earn money when someone clicks on it. Ads are tailored to the theme (niche) of your website. You have probably clicked many of these ads without even knowing! Google also likes to help you with optimizing your website and has a huge knowledge base of articles that help you tweak your site to get the most traffic. This optimizing is called SEO, or search engine optimization. There are thousands of websites with articles on best practices, and you will learn a lot as you move forward building out your site with great content. Did I mention that you can start today? 3. Blogging helps you to help others! If this is not the best reason to start, I am not sure what is. Taking your personal knowledge on of a subject, writing it out, and publishing it on your blog is an awesome way to clear your mind on that subject while helping others to learn what you know. You also become more of an authority while you are learning to write better. You learn how to express your thoughts on the subject so that you can explain concepts to others. And you learn more about your niche, which in turn gives you more stuff to write about! How cool is that? It is important that you get into blogging with an eye to helping others, and not to make money. It is almost as if your website visitors can sense that you are trying to get them to buy as soon as they arrive. This tends to cause people to just go somewhere else. If you can blog for people, they will also be able to tell that you are someone who wants to help them, then they will be more likely to buy from you later. It is imperative that you build up trust while serving others before you try to sell. 4. You will meet new people and make connections with other niche authorities. 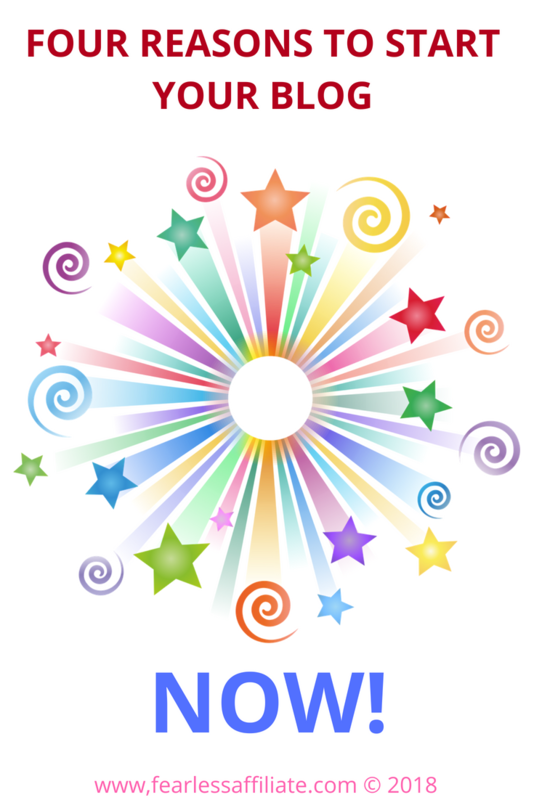 You can join groups of other like-minded people from around the world. You can learn from them and they can learn from you. You can go to the competition in your niche and see what they are writing about, and then see what they are not writing about so that you can write about it! Visitors will come to your site, read your blog posts and ask questions. This gives you more opportunity to explore what you know and what you need to learn. The most popular blogs are the ones that are trying to help people first. There is so much benefit for your personal well-being when you are blogging. Learning, inspiring, and teaching are just some of these benefits. And all of these will make you a better person! Start today! 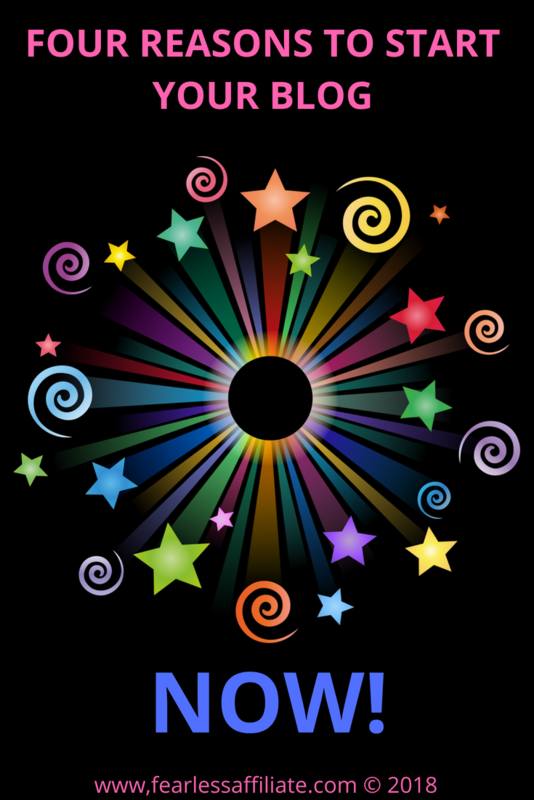 Have I encouraged you to start thinking of a niche idea for your own website? I certainly hope so. 1-2 hours per day per post? I don’t think so. From my experience, it’s been like 10 hours to write a blog post. How do you get to write a blog post in that short amount of time? Hello Evan and thank you for visiting us today! I can write 2000 words in 2 hours now. I recommend Christina’s course Create Quality Content Quickly (that link leads to my blog post review of the course). It helped me to organize my writing and sit down to the task. I get way more done now, and sometimes I can write enough for two 2000 word blog posts! I was amazed at how much easier writing is for me now. I have a bunch of posts sitting in a drafts folder now. I only write one 2000 word post a week now unless the topic is long, and then I do two 1000-1500 word posts. If you have a tough time writing, then I do suggest a course of some kind. I have tried a couple of writing courses and I found Christina’s to be the most helpful for me. Hello Rab and thank you for visiting us today! I agree! I thought blogging sounded like a hobby, so that you could vent. And then I became a fan of some of the blogs that I follow, and I thought “Is this person making money from this? There sure are a lot of ads on this page…”. I love blogging. Except for having children, I have never felt so fulfilled! Hi Irma, I love doing blogs. I think it is the most interesting job to do. During the process of building helpful content, I have to visit several websites I haven’t seen and would never open normally. Like this, I learn a lot of information about my topic but not only about this. Many people are surfing the net every day anyway but if you do so why not use the time and provide some helpful articles, there is still the need to surf but you can also make a living off this. Hi Stefan and thank you for visiting us today! I completely agree! Blogging has opened up a whole new world for me; I am meeting people from around the world, and learning so much about how big the world really is. I love it!! Great article. I have been blogging now for a little over a year now. I love what I do but feeling a little down from how slowly my site is growing. Your article has given me a little more hope- in the big picture blogging is way easier than other businesses and all businesses take time to build up. I just have to be more patient! Thanks for an encouraging article! Hello Hollie and thank you for visiting us today! It does take time, however I can say for myself that even during the slow times, it is very satisfying! I recently created a website and I am learning all I can. Thanks for your insights and the reminder than I can do it! Thank you for visiting today Julie and best of luck!! The sooner you start the sooner you will stucceed! I started my own website 7 months ago and now already my traffic is yielding 22K monthly! That is staggering considering I never thought it possible to even get a few genuine organic searches to my words. I never done this before and I had no formal back ground training or work place experience in Affiliate Marketing . Thanks to Wealthy Affiliate Training, I am now waking up to tons of comments every day, making referrals all the time (almost) and the signs of my site being financially successful are coming into being. I am no Shakespear, I mean, I could not even write or spell at the age of 11. I have a cursory level of education and I mostly self educated from books from the library or shop. School, eventually taught me to read, write but it was mostly an absolute waste of my attention as I don’t need any of it (over 90%) for Real World financial success. WA has trained me to transfer my innate creative talents to the online world to create a real online business for myself that is going to absolutely sky rocketing this year! The limits on what I can now potentially earn is all on me, but, so is the profits!! 🙂 . You want online success? Just work for it, but first, You Must Start. Thank you kindly and I picked up a whole host of new pieces of valuable information I will taking with me as well 🙂 . Hello Philip and thank you for visiting us today! And what phenomenal success you are having! I agree that WA offers up excellent training and support, but the onus is on us to create a site worthy of that many visitors and that requires dedication and a desire to succeed. Until about a year ago, I had no idea that us “common folk” could do something like this. I agree that you do not have to be a professional writer to begin; you can start wherever you are at and move forward. When I go to a website now, I am looking at it with new eyes. Looking at the ads. Looking at the layout. Looking for ideas and ways to push forward with my own site. I love it! This is the best job ever!! Blogging is such an exciting world because of the many benefits is offers beside meeting and connecting with people who eventually become your online buddies. I believe that anyone can make a success in this line of work. It is all about connecting with people and following their advice along with some hard work and the rest is history. These are some awesome reasons that you have given why we should start blogging right now in 2018. Hello Norman and thank you for visiting us today! I agree that anyone can make a success out of blogging; there is a bit of a learning curve in the beginning, but it gets easier! I just finished reading your article 4 reasons to start your blog NOW in 2018. I’m new to the whole online thing so I read as much as I can while I’m learning. I think I’m ready to start my first website after reading your article. I have everything I need I just have to get the website live online. Thanks for a great article and helping me finally get started. Hello Jack and thank you for visiting today, and I am glad that you are taking the step to chart your own future!